1. Sapphires have been treasured for thousands of years. The ancient Romans polished sapphires to be worn as jewelry. 2. The best-known sapphires are the rich blue variety, but they actually come in every color of the rainbow—including pink, yellow, orange, and green. Red sapphires are better known as rubies (both are varieties of the mineral corundum). 3. Sapphires get their colors from trace elements in the mineral corundum. 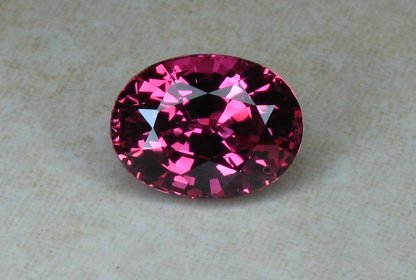 It is turned to blue sapphire when it contains iron and titanium, and trace elements of chromium can turn corundum pink, while more chromium turns it into a ruby. 4. The rarest type of sapphire is a pinkish orange variety called padparadscha, a name that comes from the Sanskrit word for lotus flower. 5. The largest cut and polished sapphire, with a weight of 61,500 carats is the Millennium Sapphire. 6. Until the late 17th century, sapphires could strictly be worn by the royalty and high priests. Anyone else caught wearing them would be punished! 7. The most famous sapphire engagement ring given by Prince Charles to Princess Diana, (now worn by Kate Middleton) costed 28,000 pounds sterling. 8. Artificial sapphire is identical to natural sapphire, except it can be made without flaws or inclusions. 9. Sapphire is the third hardest mineral, and cheap artificial sapphire is used in lasers, ultra-thin electronic wafers, and shatter-resistant windows for armored cars.